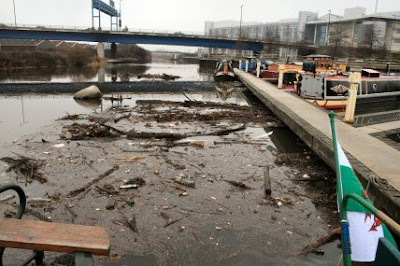 Three waves of rubbish came down the canal in the last couple of days. Next to the very large builders bag you can see is a tree trunk that must be nearly 18 inches in diameter. Several smaller trees went under the mooring and lodged in the corner behind the other boats. Went into town this morning and bought a DAB radio as I do like Radio 7. Most of the gear I am buying is either 12v or runs on batteries. This radio however will plug into the 240v which I have on while running the engine but has an in-built battery charger. Perfect. While underway I have 240v on and put everything on charge so that the 12v doesn't have too big a drain on it when I moor up. 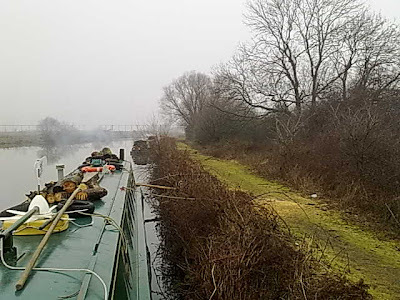 Once we were moving the first stop was at Long Sandal Lock. Tim went ahead to open up and after ten minutes I went alongside. There was a problem with the lock gates. They wouldn't open - well they would but just a tiny bit at a time. The fault was with the water level indicator. The gates can only be opened when the water levels are the same and the light comes on but in this case the light kept going out. 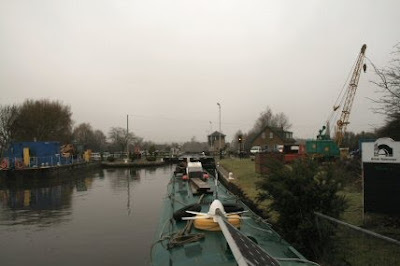 We got the gates open enough to squeeze in and I moored next to the Lock-keepers office to use the free phone. The instructions said 'Lift the phone and wait for the dial tone. Then press the orange button and ask for Freephone Canals. I would have done but the reply on pressing the button was 'The number you have dialled has not been recognized' Bloody hell!! 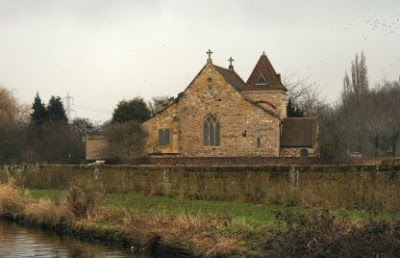 I slowed down as I went past the little church at Kirk Sandal. Isn't it quaint. 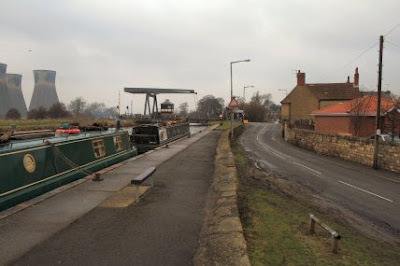 Moored at Barnby Dunn to await a visit from the wind genny man to have a look at Tims genny. After he arrived and had a look at it it was decided that it would be taken away and sorted out and brought back tomorrow - Monday. So rather than have him chasing us around the system we moved to the otherside of the lift bridge for the night.